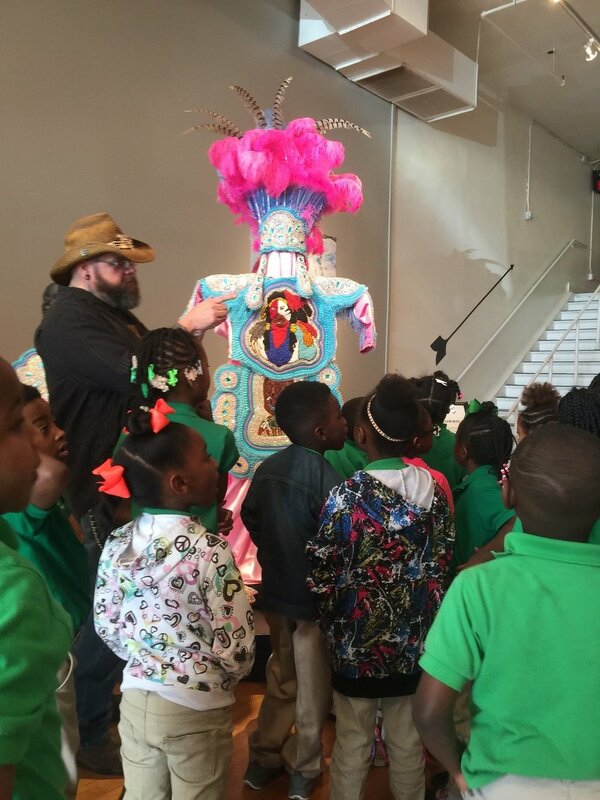 Larry Sanchez, Resident Artist and 2017 S. Scott Griffin Award Winner, explains the artistic and cultural traditions of the Creole Wild West Mardi Gras Indians to local students visiting artspace. Students from J.S. Clark are full of STEAM as they beaded their name in binary code! 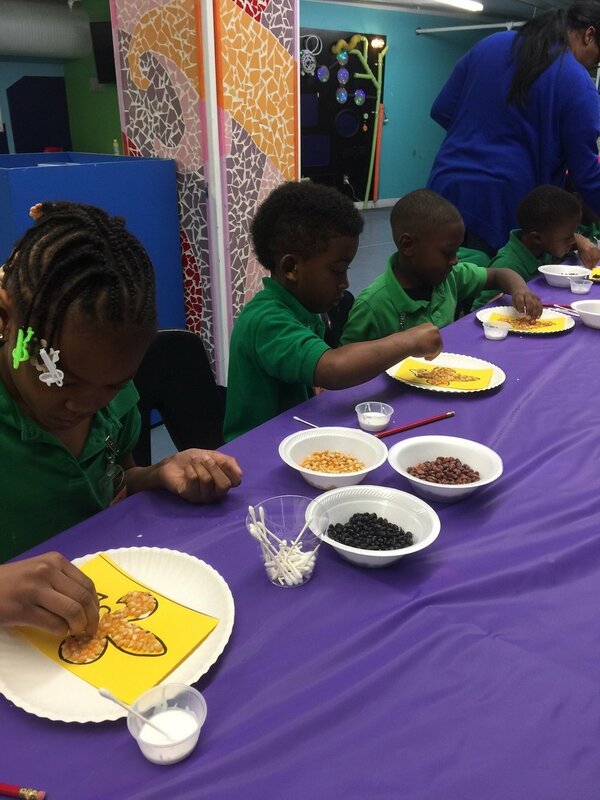 we have something ARTful for every group! Groups are invited to visit artspace for special tours of the current exhibition led by a professional artist. Each tour details the special aspects of the exhibition, the artists and the artwork. Great for Church Groups, Couples Night Out, Bridge Clubs, Girlfriend Getaways or Office Excursions! If you have the group, we have the artful entertainment to fit every palette! Starting At $8 per person (not including food & beverage), we can fit your budget!! Here are a few examples of what we have done in the past and what we CAN do! 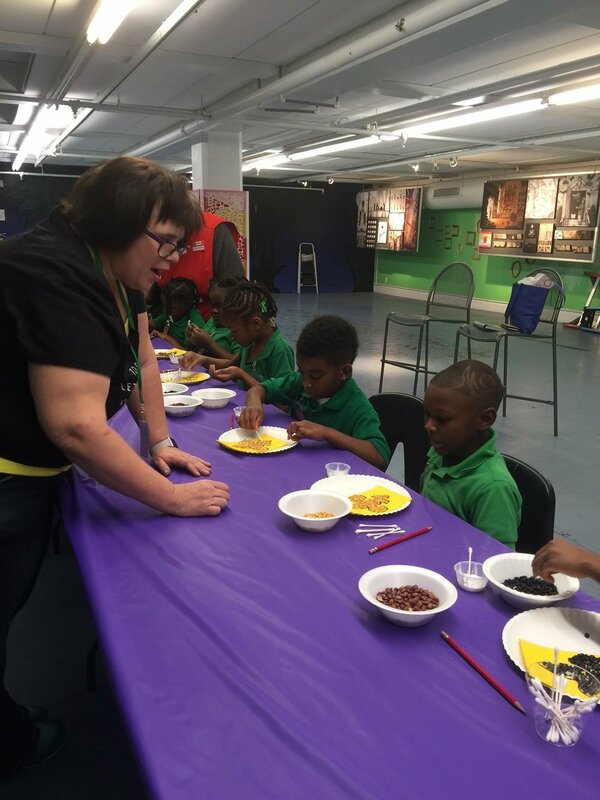 schedule your Group tour today!